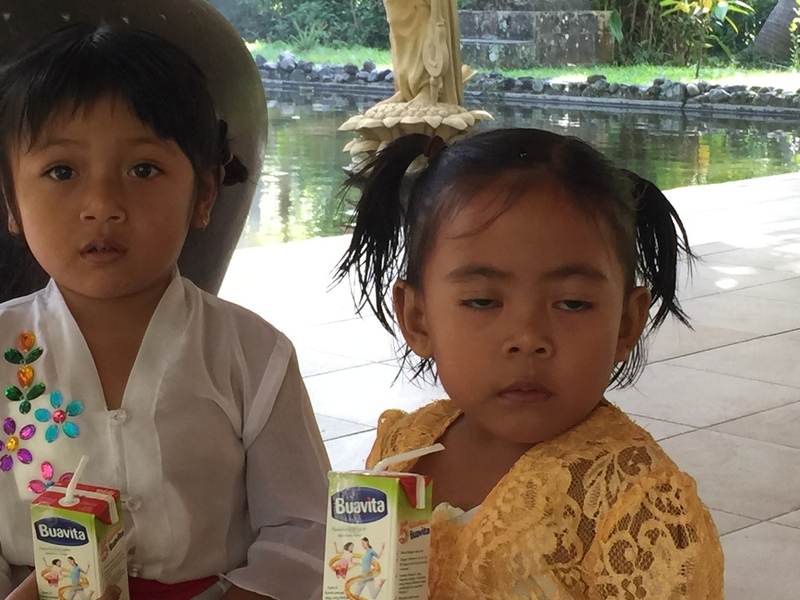 In June, the Balinese people celebrate the Kuningan, one of the highest holidays in Balinese Hindu Religion. On this occasion, we received the visit of these four lovely youths. Three of them were the children of Wira, our external liaison person and one, the neighbors’ daughter. They looked so lovely all dressed up in their festive ceremonial clothes. The boys with their traditional head dresses and the girls in their little sarongs and blouses with a scarf wrapped around. We invite you to discover the Balinese culture by staying at Jiwa Damaiin Bali. Find out more by visiting our website!